Gary Goodfellow was a professional motorcycle racer for 20 years, having been ranked 5 and 8 in the world for both Motorcross and Superbike racing respectively. 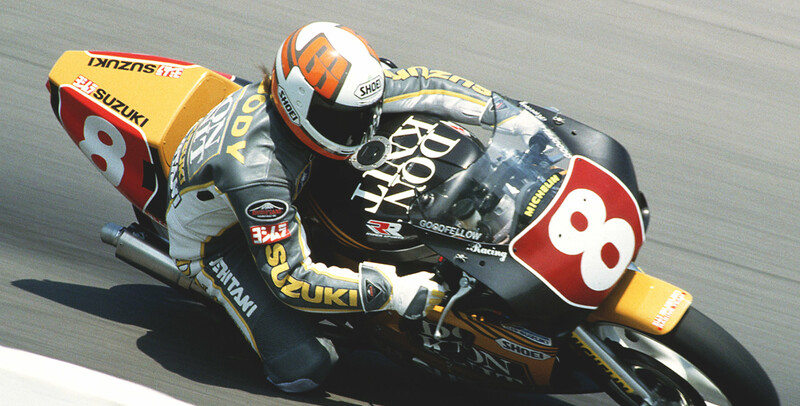 A very accomplished rider, Gary was the first New Zealander to win a World Super Bike race and was the first person to win a World Super Bike race for Suzuki. Gary’s racing career included winning over 11 championships held in Canada and representing North America in the Trans-Atlantic Championships held in England. Gary was also a test pilot for the John Britten development Team in New Zealand for 3 years. Gary’s career has exposed him to a number of serious injuries and as a result he has broken his feet 5 times, now has a replaced hip, rods in his arms and pins in his knees from numerous crashes. For a number of years he had difficulty walking due to these multiple injuries. In around 2005- 06, Gary was introduced to Shuzi bracelets in Canada and it had such a profound difference on his life that he wanted to share this with the world. This inspired Gary to introduce Shuzi to his home country of New Zealand in 2009, obtaining the rights for both New Zealand, Australia and the South Pacific.